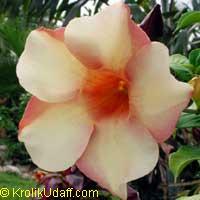 5934 Adenium Yellow Allamanda, Grafted ? New rare variety from Brazil, collectible item. Deep red-wine color, slightly fragrant flowers. Blooming size. 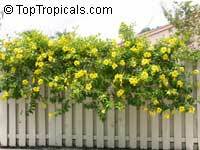 Very attractive ever-blooming vine or shrub with bright yellow trumpet-like flowers. 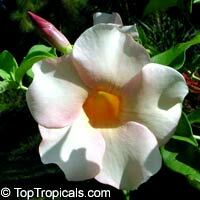 Night-scented flowers year-round. 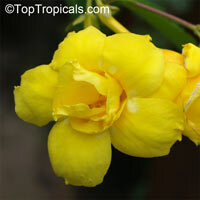 Very attractive ever-blooming shrub with bright yellow trumpet-like flowers. Nice blooming hedge plant. 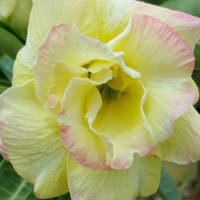 Relatively hardy and easy to grow. Showy cherry color slightly fragrant flowers. Large plant, blooming size. Golden Trumpet Vine. 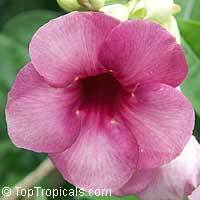 Big single 3" wide flowers, fast growing showy vine. 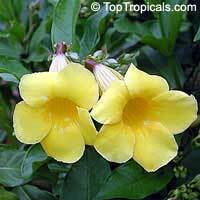 Dwarf Golden Trumpet. 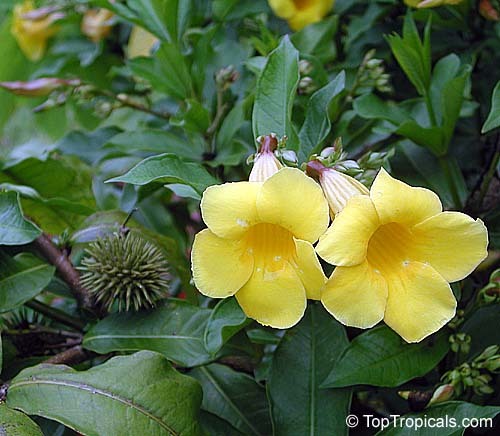 Dwarf variety of garden favorite allamanda, with smaller narrow leaves and regular size yellow trumpet flowers. Great for small size gardens, potting culture or as a small accent plant. Rare unique variety - Indonesian Sunset. 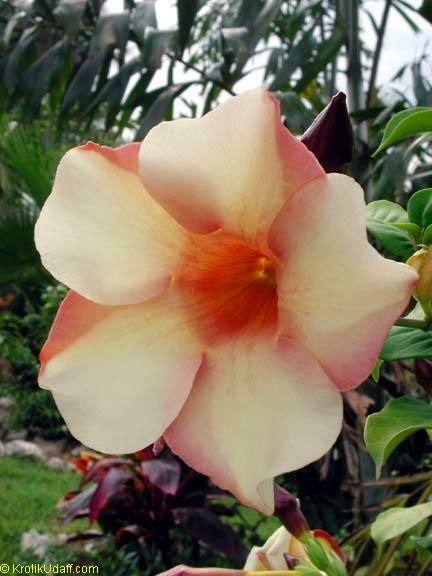 Flowers are multi-colored with bronze/golden highlights. 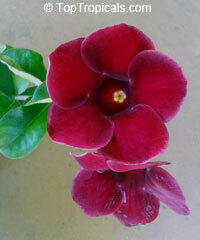 Very showy flower, slightly fragrant. Large plant, blooming size. 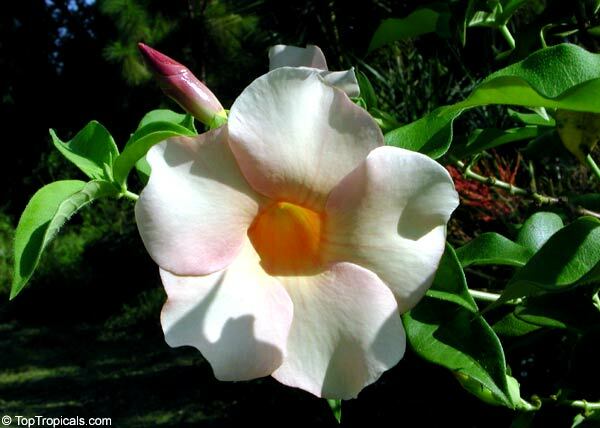 A beautiful variety with large fragrant delicate cream-colored flowers. The plant is an eye-stopper! 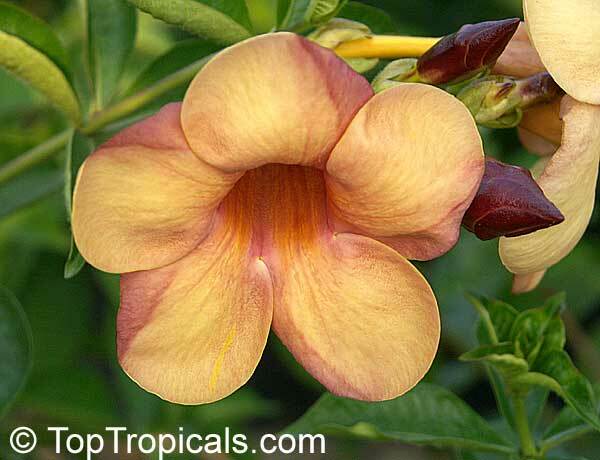 Golden Trumpet Vine. 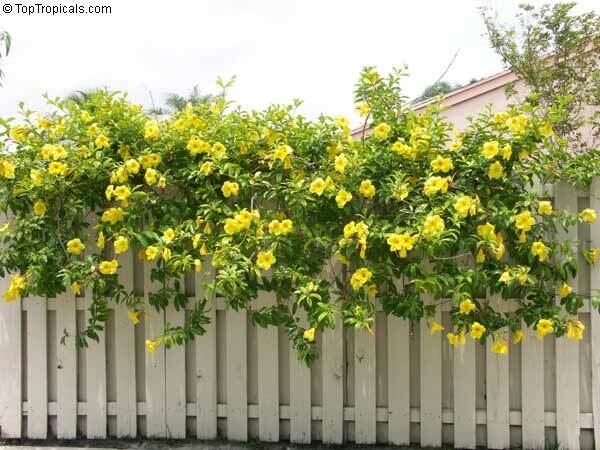 Very attractive ever-blooming vine with bright yellow double trumpet-like flowers 3" wide, slightly fragrant, blooming year-round. 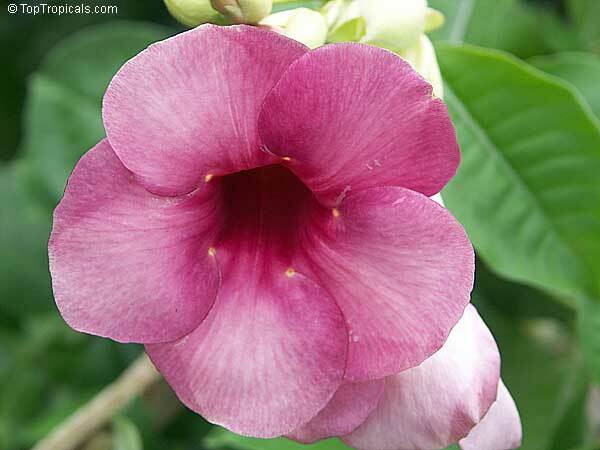 The plant has milky sap and is considered poisonous. Grows well in most soils. In areas where there is seasonal change, keep fairly dry during winter and prune in spring before growth begins. 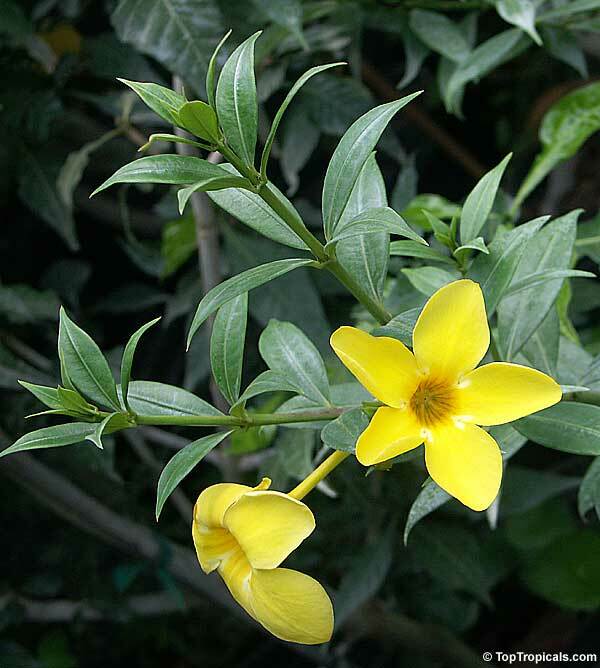 Rare variety, vine with fragrant yellow double flowers.